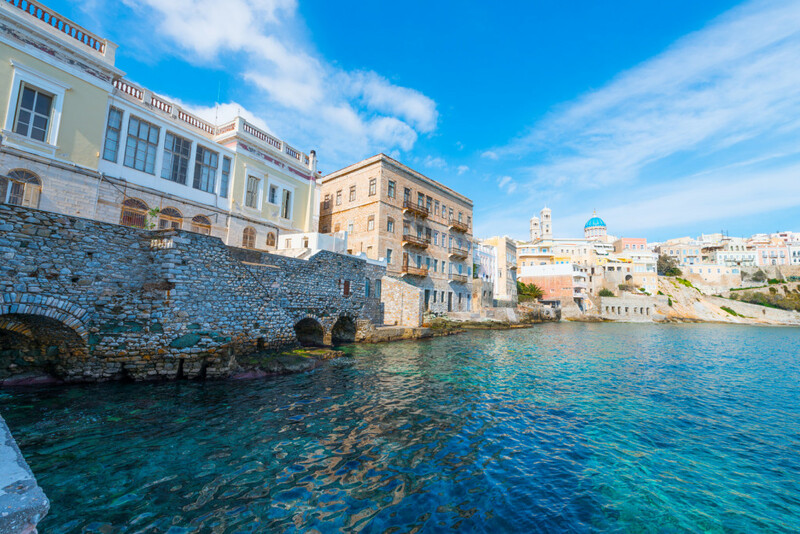 Divided between two worlds that co-exist in harmony, the orthodox and the catholic, Syros stands out as the “Duchess of the Cyclades”, as many like to call it. 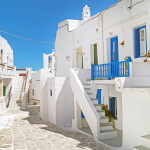 Possessing a long tradition as an administrative, naval and economic centre, the current capital of the Cyclades is hospitable, cosmopolitan and noble. 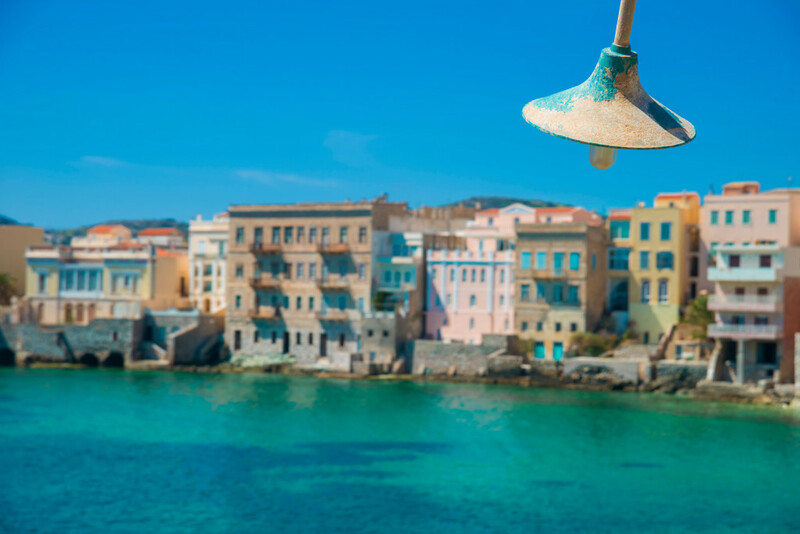 Syros is by far tourist friendly, with amenities for all budgets, vivid but not exaggerated nightlife, gastronomical surprises and a variety of relaxing sandy beaches. 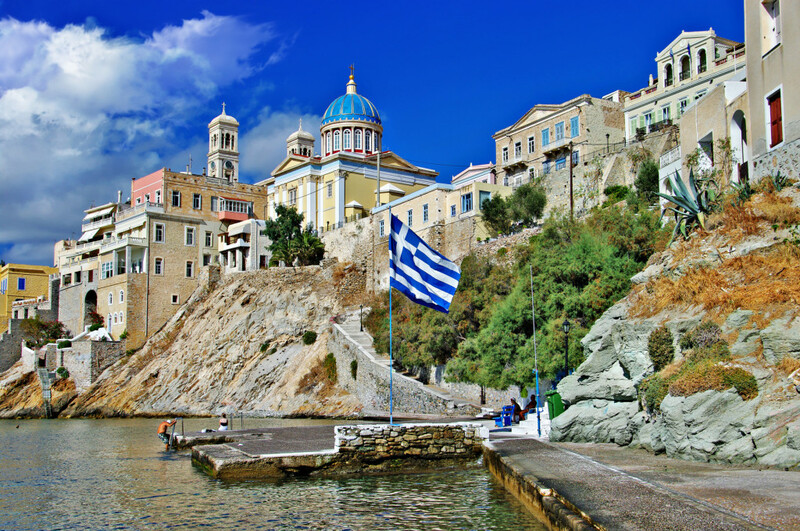 The first thing that captures your eye as soon as you enter Syros’ port, is two hills with two temples at their top: the Orthodox Church Anastaseos and the catholic Saint George, a reminder of the Roman Catholic community that thrived here in the 17th and 18th century. 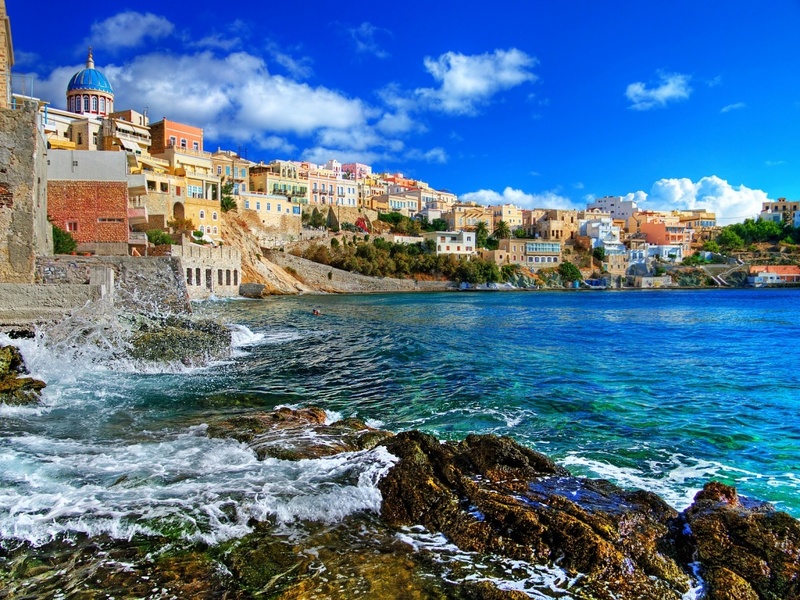 These two districts, named respectively Vrontado and Ano Syra, together with the downtown part of Syros, are the major highlights of the island’s capital Ermoupoli, the biggest in all the Greek islands. 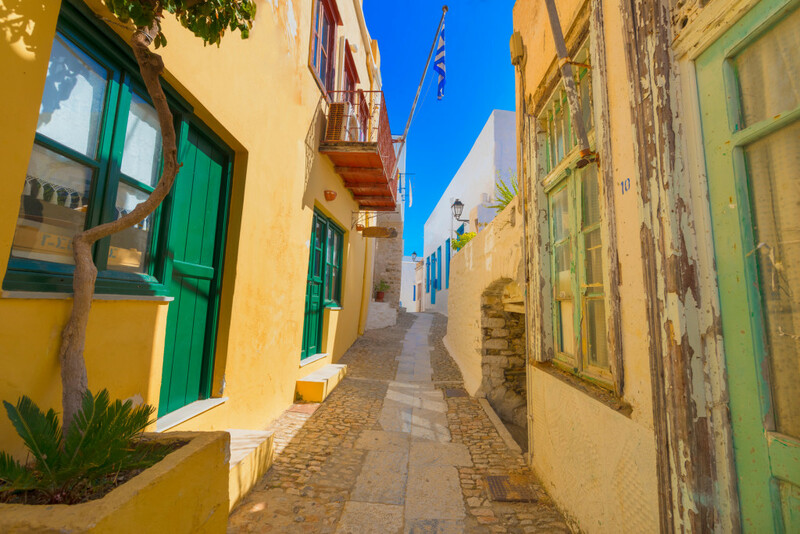 Ermoupoli is a successful mix of Cycladic architecture, neoclassical mansions, an enchanting labyrinth of alleys (especially in Ano Syra), the old port, but also modern buildings, shops, restaurants, etc. The town’s large main square, the historic Platia Miaouli, is always full of life, with its palm trees, trademark imposing Town Hall and the famous Apollon Theatre (whose architecture refers, inter alia, at La Scala). 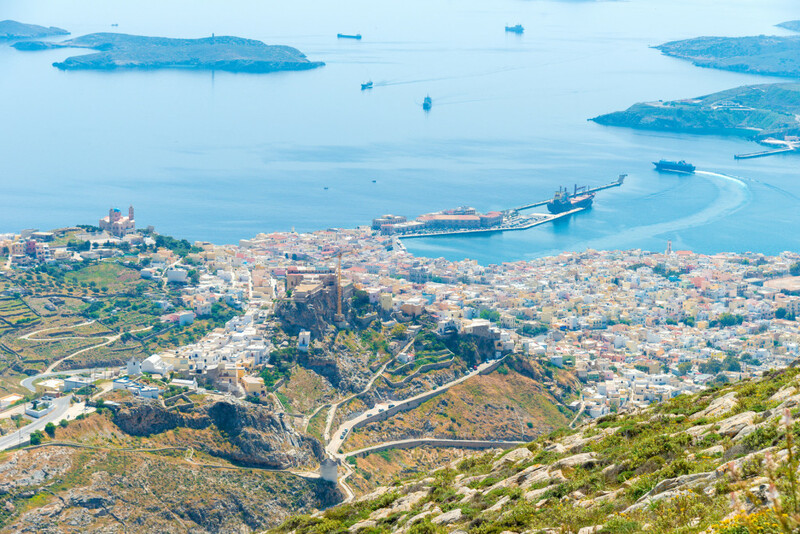 Another district worth exploring is nearby Vaporia, a picturesque testimony of the island’s 19th century prosperity, with neoclassical mansions and former residences of wealthy ship owners. 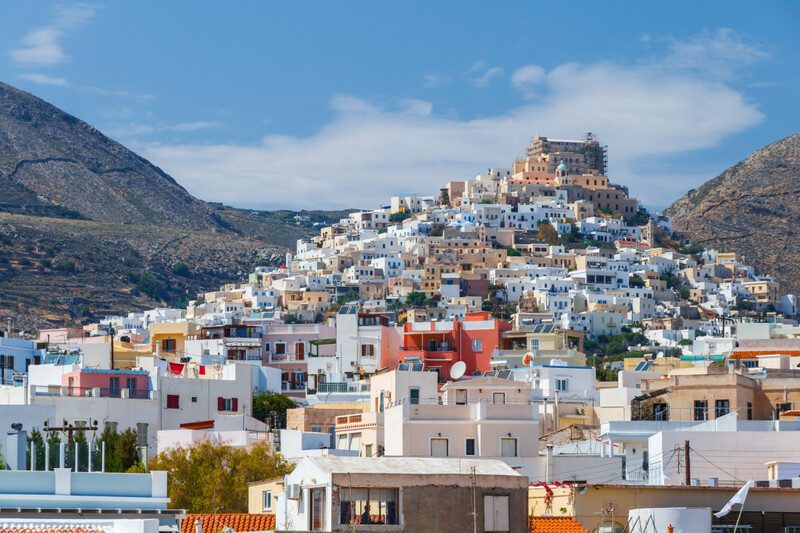 As for the island’s villages, coastal or inland, Syros is proud to maintain its traditional Greek island character, with the charm of another era. 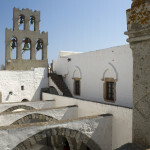 Elegant and accommodating, Syros happily welcomes visitors to the sounds of both arias and rembetika. When night falls, you can still hear the songs of Markos Vamvakaris, a landmark native figure and pioneer artist of rembetiko, praising the beauties of Syros. Who can blame him? No text reviews of Syros exist. 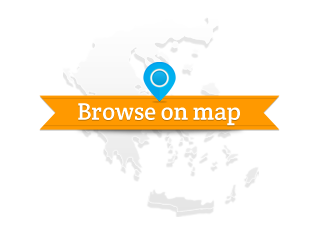 You can be the first one to review Syros.